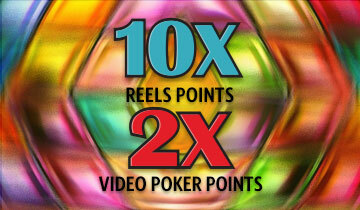 Let the good times multiply with 10X points on reels and 2X on video poker. Earn 25 points and win E-CASH, comps or points at our kiosk! Guess your way to $400 in prizes. 30 winners per night.